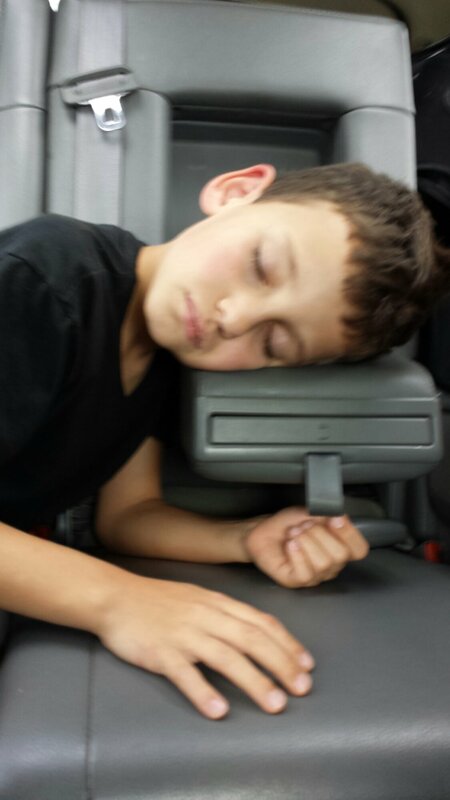 On our way to a large three-day conference for Mommy’s work, this little guy made use of the arm rest. Would you even be able to turn your head if you slept like this? I know that I wouldn’t! Ms. Annie Sells loves this example of improvision and adaptability. 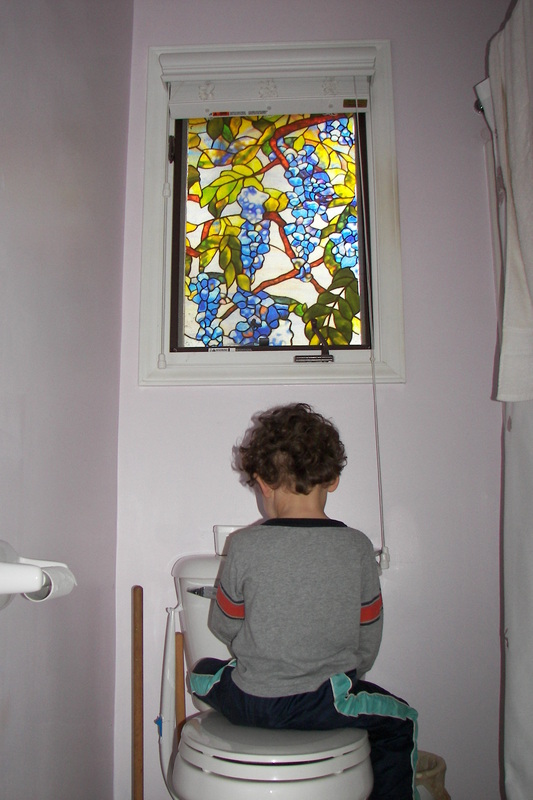 In this rapidly changing world that we live in, we could all take a lesson from our children. It is with age and time that we become inflexible and justify our actions with half – baked excuses. Sometimes as adults, we go so far as to use twisted logic and the hypocrisy, of beliefs held by others, as our ammunition. But it is ourselves that are hurt the most! The fact is that as humans, we are remarkable creatures. We have the ability to improvise and rise above almost anything. In order to do this, we must be honest with ourselves, correctly assess our lives, set our true priorities, and (at least) mentally prepare for anything. Ms. Annie Sells is burning her candle at both ends these days. Okay, this year… Don’t tell my Momma because she will chew me out! My defense? A girl has to do what a girl has to do. Z’s Daddy is working on his Bachelors. Ms. Annie Sells is working on her Masters. Z’s Mommy and Daddy are working full-time and then of course Z’s Mommy must do her subcontracting jobs. So since school work for the week is complete, now I am up to my elbows in a subcontracted project that I feel very passionate about! 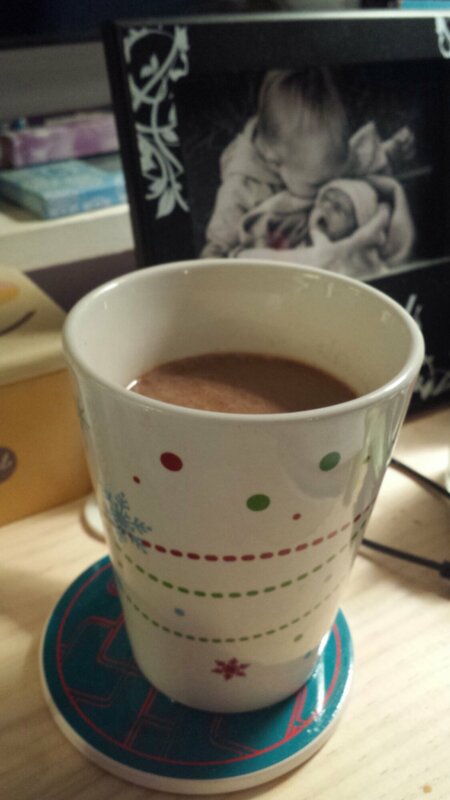 Above see my favorite winter coffee mug with chi tea. What keeps you going? Are you wondering what four letter word that Ms. Annie Sells is admitting to as her favorite curse word? Well, I am not going to tell you. Instead we are going to take an honest look at what really should be a curse word to many of us. If you type patience into Google, then your first hit will be the definition. pa·tience ˈpāSHəns’ – a noun: the capacity to accept or tolerate delay, trouble, or suffering without getting angry or upset. You will also find this Wikipedia definition. Patience (or forbearing) is the state of endurance under difficult circumstances, which can mean persevering in the face of delay or provocation without acting on annoyance/anger in a negative way; or exhibiting forbearance when under strain, especially when faced with longer-term difficulties. Patience is the level of endurance one can take before negativity. If you are a faith-based person you might look up the definition in a King James Version of the Holy Bible. Ecclesiastes 7:8 reads like this. Better is the end of a thing than the beginning thereof: and the patient in spirit is better than the proud in spirit. Keep your cool. Not letting your blood pressure top out, your voice raise, your heart race, and all those other grand reactions, which we are prone to when things do not go our way is simple. Yes I said simple, not easy. There are two steps to finding patience. Step 1) Breathe. Step 2) Wait. So a betting man (or woman) might say that patience is not just a virtue preached to us and explained in Google and Wikipedia, but patience pays! So breathe and wait for your payday! Today, October 3, 2012 I awoke earlier than normal and found the air crisp and after loading the coffee pot quickly got dressed to ward off the chill. Don’t get me wrong it wasn’t cold in my house, but it wasn’t warm either. After getting my first cup of coffee in one of Grandma’s coffee cups I sat down at my desk and realized that the roses I had cut and placed there were faded. This brought a smile to my face. Often (probably too often) I share pictures from my gardens. It seems that I now have over a dozen varieties of roses and hundreds of pounds of canna lilies. 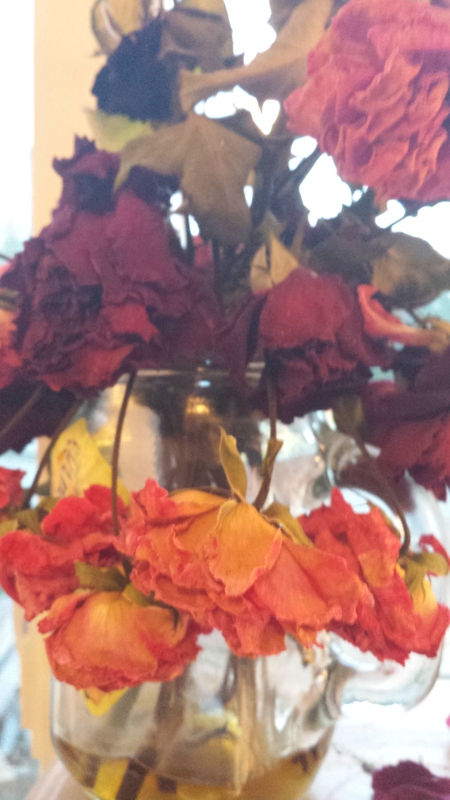 I didn’t plan this assortment of flowers, these are just those that have survived the many cycles of life. Sometimes the summers are “too hot” or “too long” or the winters are “too cold” or “come too early” or “come too late.” My roses and lilies have fared the best. They are the resounding survivors. With all the current unrest over the “government shutdown,” the recent overwhelming changes in my professional career, and the overwhelming losses of loved ones in my family over the last several months I have had to consciously take pause and find comfort in these basic things. When you find yourself in a similar place, what do you turn to? CV – You mean RV? Resume’ – You mean Get Going Again? Okay I know; I am gushing! But I have been waiting for weeks, for the newest version of Trust Agents and The Impact Equation and they arrived together just in time for my birthday. Happy Happy Happy Birthday to Ms. Annie Sells! I owe about 100 thank you’s to all the friends and family that reached out to make me feel loved and appreciated on the celebration of my birth. I owe the biggest thank you, to Chris and Z who made it clear that they love me without measure and wanted me to know it on my special day. But I owe a big thank you to these authors for rekindling a spark in me! I have advocated for online learning for over a decade and every degree and certification that trails my name was earned online. I respect and love higher education, but firmly believe that if colleges and universities don’t come a lot further very quickly, toward embracing distance and online learning that future generations will suffer. I have tripped my way through a lot of trial and error just like Trust Agents and Thought Leaders. We are the guinea pigs that are testing everything and putting ourselves on the line, so that we can learn for ourselves and teach as many of our friends and colleagues who are willing and interested in learning. Trust me, if you take this route you will not need a resume’ or CV either. What can I say? At home in Fort Smith, Arkansas it has hardly rained in two months. 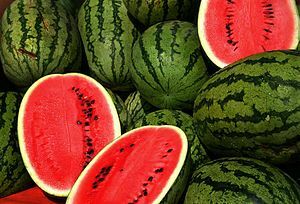 Even the watermelons are in short supply and they can grow in road ditches, given that they get enough water. Where I normally have a beautiful flower garden and vegetable garden, I now have a lot of brown and dying vegetation. The 100+ temps day in and day out are exhausting, horrible for the economy and well – depressing. I have spent as much time playing with my monkeys, as I call them, as possible, teaching my son how to swim, getting way too much sun and swimming, swimming, swimming. When it is too hot to breath and everyone I know is closeted in their homes under their inefficient air conditioning, I have had friends over for BBQs and playing in my much-loved swimming pool. No I am not making excuses, just stating the facts. Today, I, Annie Sells had the privilege of talking to some really incredible people, one such person was Sherese. She and I where in the back seat of a car, being driven to dinner and I confessed to her that I haven’t been writing of late and have neglected my online friends and fans. She wanted to know why. I told her the truth. I have spent my time connecting as authentically as possible with the people in my life. For if you cannot connect authentically with the people who you can see and reach out and touch, how can you possibly connect authentically with people in your virtual world? Now that I have a clean conscience, let’s get back to work. I want to send a special thanks to Ms. Sherese Duncan of Efficio Inc. I have thoroughly enjoyed working with, speaking with and getting to know her both professionally and personally over the last 8 months. 1. There is no box, only our core. 2. We must believe in ourselves. 3. We must be active and take ownership. 4. Only we can push ourselves to excellence. I say thank you and pray that you like all the small business owners and entrepreneurs that I know experience true success, fulfillment and happiness in your work and in your personal life! 1) I said a quick thanks and went on about my day and 2) I asked them why they were generous with their compliments toward me. I was taught good manners. I don’t tolerate similar behavior out of my son, my adopted children or even guests in my home. So why did I spend all day being respectful and thankful to my colleagues and then behave so poorly in my personal life? Perhaps it is the same reason that we sleep in the day of our big interview, schedule appointments with other professionals and stand them up, or forget about important family holidays until the very last minute, or cower out of attending that funeral. All we have are the days of our lives and the people that we share them with. But we cannot be in more than one place at a time (even with social media and other marvelous forms of technology) and we cannot be everything we want to everyone we desire. However, we can stop and take inventory from time-to-time and attempt to make right the things we have done wrong, insincere thanks among them. Therefore, unnamed day-care lady who comes to work daily and deals with mine and dozens of other children without thanks, thank you very much! Thank you for taking care of mine and others’ children and thank you for saying that you like my shirt and like the colors! Also, a special thank you to @IngridElfver! Back at you: You are SIMPLY AMAZING! WOW!! Who would question the Coach's Coach?